The most useful local herbs for the common health issues of babies and children . This is a non-comprehensive list, based on what works for the many little clients I have seen over the years in my practice. Black Walnut (Juglans nigra) This powerful remedy is simultaneously gentle enough to give to infants. I recommend diluting the tincture in water and using for a rinse/wash for cases of oral thrush. It’s also a good topical agent for ringworm. Useful for constipation, skin problems of the dry type, eczema, atopic illness, worms/parasites. Cold, dry or stagnant. Black Walnut treats them all! 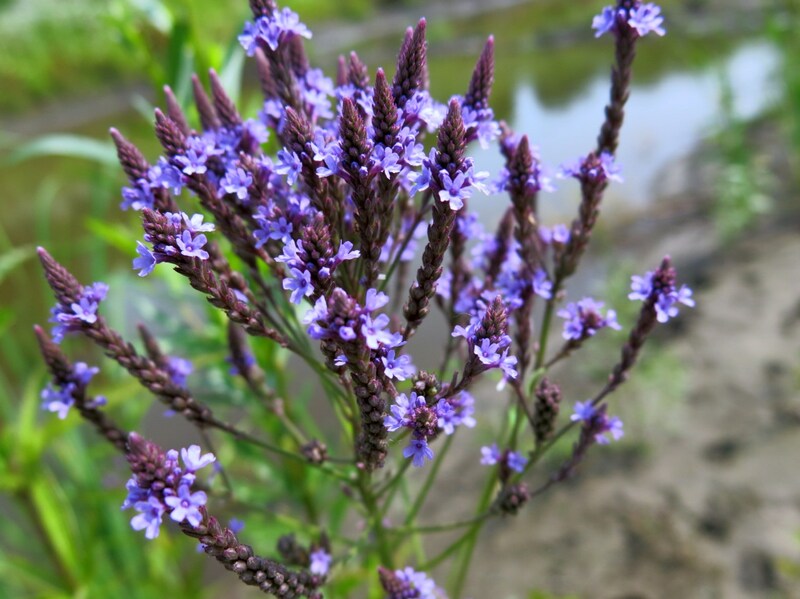 Blue Vervain (Verbena hastata) Even little ones can be tense! This nervine/antispasmodic is great for little teeth grinders and the kids who even as babies give off a tense vibe. Chamomile (Roman, German, Pineapple Weed, I use them interchangeably). Not only a classic children’s herb but a widely useful totally underutilized herb in general. I recommend Chamomile as an eyewash for conjunctivitis or pink eye. It is great orally for seasonal allergies in children and adults and it’s good for a mild tummy ache or as a slight enhancer of digestion. Like Catnip, it’s used for teething, fussiness and colic but these babies are fretful, whiny and clingy, not so angry, more like the type that doesn’t want you to put them down for the entire duration of their discomfort or illness. (some indications from Matthew Wood). Chickeweed (Stellaria media and other Stellaria species) awesome topical for eczema and really anything that itches, burns or is swollen. 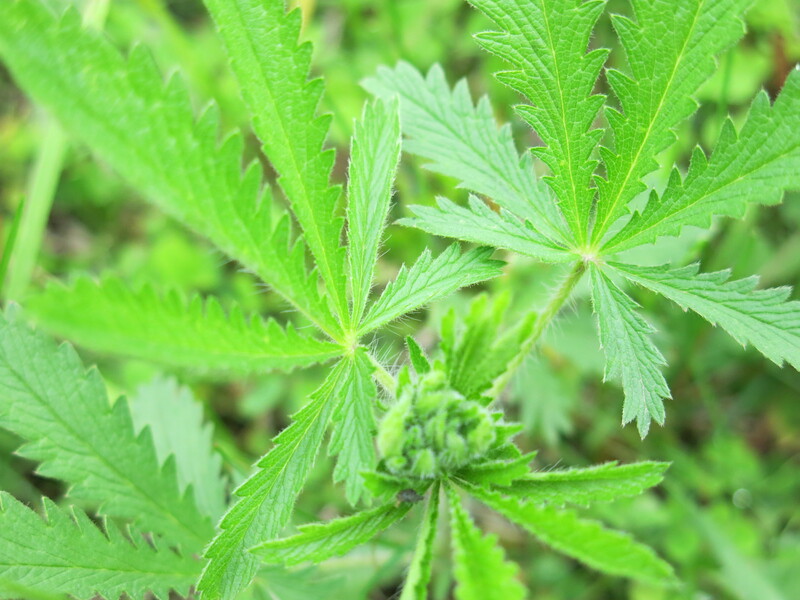 Cinquefoil (Potentilla spp.) Another Rose family nervine for bedwetting in the older kids. Cleavers (Gallium aparine and other Gallium species) This moistening lymphagogue is one of my favorite remedies for childhood eczema, and children with chronic upper respiratory infections, or chronic strep, especially when the tonsils and other lymph nodes are frequently swollen. Elder Blossoms (Sambucus nigra or S. Canadensis) Elder: the undisputed queen of herbs for the youngsters. 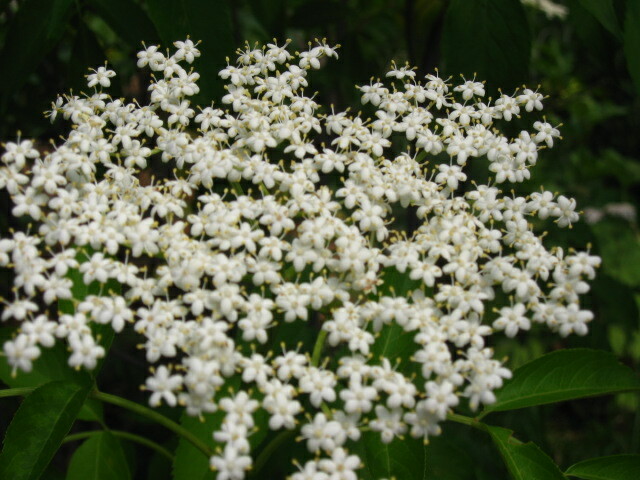 Elder is a reliable diaphoretic and an aid in decongesting upper respiratory conditions and earaches. Elder is also a transformative medicine for children with eczema and atopic illness, ADHD and hyperactive behavior, frequent infections and a combination of pallor and bright, red, dry harsh inflamed cheeks. This is the remedy for kids who don’t sweat. They are dry and harsh on the exterior and some combination of hot and cold. Elderberry (Sambucus nigra) Almost all children love the syrup or elixir which is a good anti-viral and shorten the duration of illnesses. Try making elderberry gummies—it’s fun and kids and adults love them! Goldenrod (Solidago Canadensis and other species) Another favorite. This herb is great for eczema, allergies and sometimes kidney/urinary symptoms or poor digestion. The tongue coating is almost always thick, creamy or greasy. Ground Ivy or Creeping Charley (Glechoma hederacea) This little mint is useful for the common cold and upper respiratory infections, as well as earaches and ringing in the ears. Ground Ivy has a history of use for lead poisoning. Hawthorn (Cratageus spp.) I use the berry for ADHD and hyperactivity in hot, sanguine types. Linden (Tillia spp.) The blossoms are another classic children’s herb, particularly useful for fever and upper respiratory infection. Linden is also a nervine and promotes restful sleep in very active or anxious children and is also a choice herb for ADHD in children with hot, inflamed patterns. Mullein (Verbascum thapsus) The leaf will moisten dry coughs and is particularly useful when a child coughs until gagging or vomiting, bronchitis, croup, whooping cough, as well as more run of the mill dry coughs. The blossoms are for ear oil, of course. I cold infuse mine with garlic and add some Lavender Essential Oil. Oregon Grape Root (Mahonia aquifolium)Excellent for those dry little ones, constipation, eczema, chronic swollen glands. Plantain (Plantago majus) allergies, common, non-serious upper respiratory infections, sinus infections, post nasal drip, cough, clear mucus. Topical for rashes. Red Clover (Trifolium pretense) another moistening lymphagogue in the kit to help those youngsters with eczema. 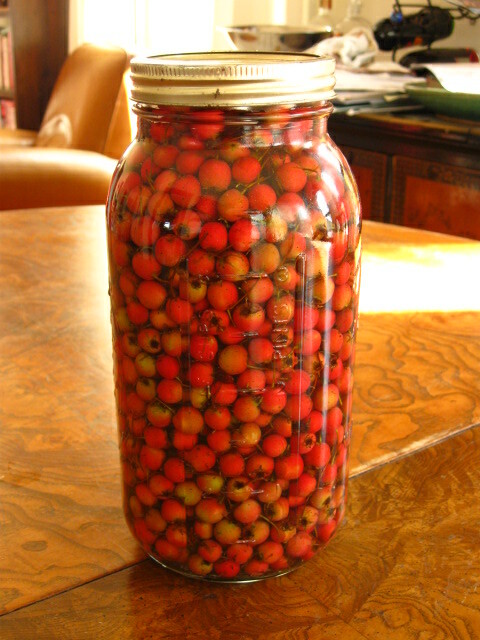 Also good for general upper respiratory infections, coughs, mucus, head cold. Sage (Salvia officinalis) no better tea for sore throats, including strep. I recommend a strong tea with fresh herb (available year round even at the most conventional of grocery stores) with raw honey and lemon. Sage also makes an awesome infused honey. Violet (Viola spp.) A very cooling lymphagogue. Great for high fevers. Sore throat, swollen gland, eczema. 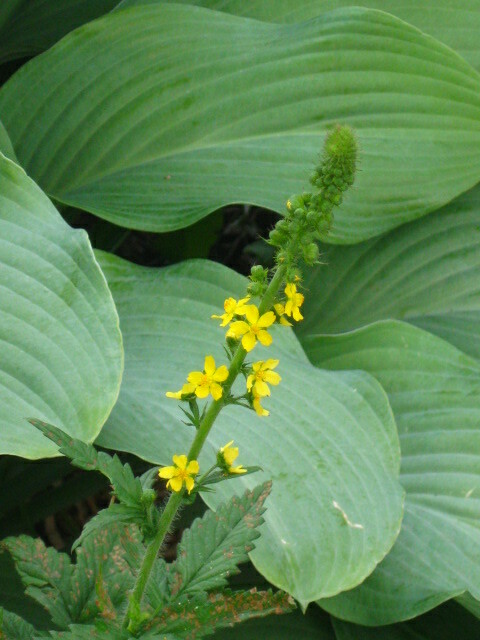 Yellow Dock (Rumex crispus) Yellow Dock is the best remedy for GERD even in babies. The downward energy of this plant is amazing. Wonderful for constipation in larger doses without the discomfort associated with senna preparations. 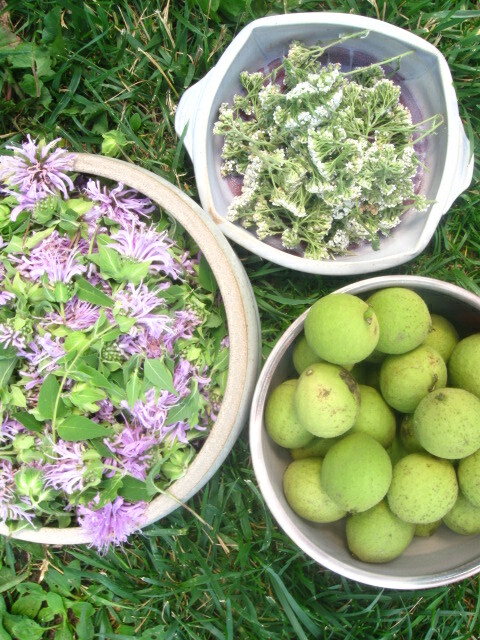 See my companion post, Working with Children in Your Herbal Medicine Practice: Thoughts for Practitioners and Students.